Calling all ghost hunters, this 2-hour tour of the 19th-century Sorrell Weed House immerses you in one of Savannah’s most haunted locations. 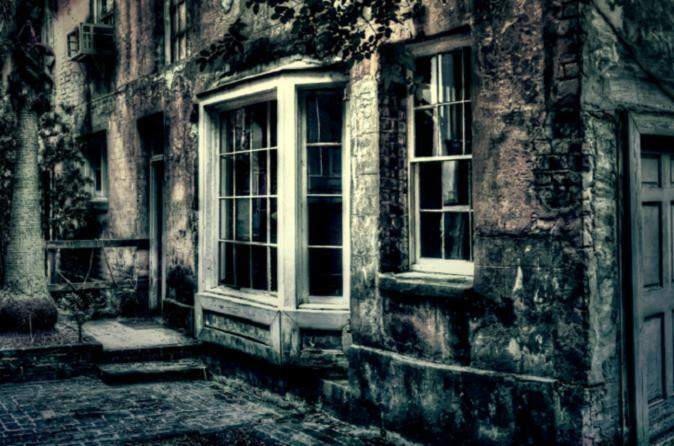 Discover the tragic tales surrounding Sorrell House, investigated on the hit TV show ‘Ghost Hunters’, and conquer your fears in the basement and carriage house, where a servant was found hanging from a noose. In order to maintain a tense atmosphere, this small-group tour is limited to 12 people. At 11:30pm, make your way to Sorrell Weed House, a haunted mansion located on West Harris Street. Outside of the 19th-century building, you’ll greet your guide and prepare to experience high levels of paranormal activity. With your camera ready to capture supernatural sights, enter the house and begin exploring the first floor as you listen to tragic tales of death and hear of the mansion’s former inhabitants. In the basement, absorb the chilling atmosphere and then stroll through the gardens beneath the atmospheric cloak of darkness. Conclude your investigation in the carriage house, where a servant was discovered hanging from a noose. Particularly high levels of paranormal activity have been detected here in the past. After two hours of exploration, bid your guide farewell outside of Sorrell Weed House.